Featuring free WiFi throughout the property, Hotel Garden Court offers accommodation in Prague, 600 metres from Wenceslas Square. All rooms are fitted with a flat-screen TV. Some rooms feature a seating area for your convenience. The rooms are equipped with a private bathroom. Extras include bathrobes and slippers. The hotel also offers car hire. Prague National Museum is 800 metres from Hotel Garden Court, while Prague Astronomical Clock is 800 metres away. 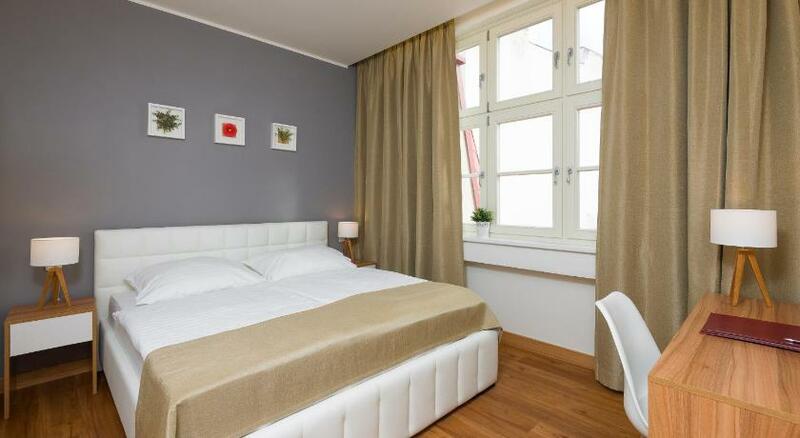 Vaclav Havel Prague Airport is 11 km from the property. For reservations of 5 and more rooms, the property will contact the guest with the information about the new cancellation policy as it would be considered a group reservation. Credit cards are charged in CZK according to the hotel's monthly changing exchange rate, which can differ from your bank's exchange rate at the moment of the transaction.